Students in the Society Room at the Smith College Students Building, 1904. Three students seated at a table in the center of the room looking at books, and two students seated on a bench. 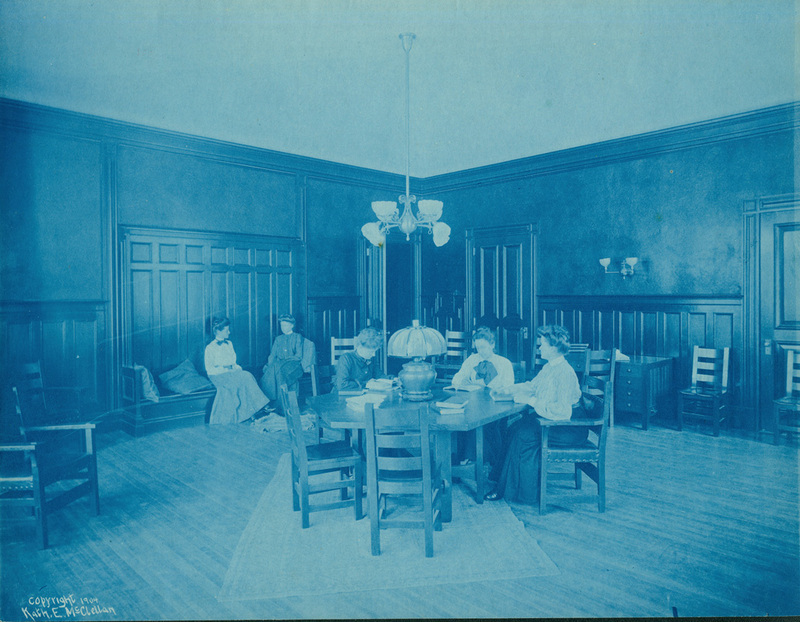 Katherine McClellan, “Students in the Society Room at the Smith College Students Building, 1904. ,” Smith Libraries Exhibits, accessed April 18, 2019, https://libex.smith.edu/omeka/items/show/351.